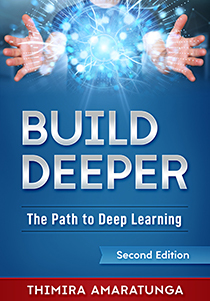 We're just 1 day away from the release of my new book Build Deeper: The Path to Deep Learning. So, let's see what I've covered in the book. 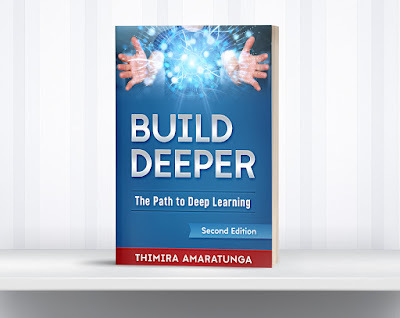 The new book is the successor to my earlier book - Build Deeper: Deep Learning Beginners' Guide - (which is why I called this the 'second edition), to which I've added a lot more topics this time. The new book is more than twice the length of the old book, and covers more breadth and depth in Deep Learning. 2019 is here! Happy New Year everyone! May we see more exciting development in AI, Machine Learning, and Deep Learning this year. With this new year, I'm excited to make a new announcement. My new book "Build Deeper: The Path to Deep Learning" is now completed, and will be releasing very soon. 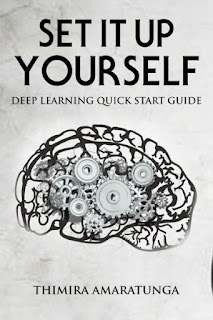 It's the successor for my earlier book "Build Deeper: Deep Learning Beginners' Guide", and covers everything from an introduction to deep learning, to building your own image recognition and computer vision models from scratch, and advanced topics such as transfer learning and fine-tuning your models, with sample code and step-by-step instructions for everything. The book will be released within next 2 weeks. Stay tuned for more details. For a while now, the most reliable two ways to get TensorFlow installed is to either use the pip package, or compile from source. Compiling TensorFlow from source takes hours, and still prone to errors (see "Failed Attempts at Building TensorFlow GPU from Source"). While the pip package is relatively easier, getting the GPU version of TensorFlow installed using pip was a hassle. But not anymore. Because the conda native TensorFlow packages are here now. As you know, OpenCV is capable of reading from any connected camera in your system, whether it's a built-in webcam (in a laptop) or a USB connected one. But what if, you wanted to read from more than one cam at the same time? It's quite simple. Here's how to do it. Our YouTube Channel is Live! We have a YouTube Channel now! If you've been using Anaconda Python for a while, and been creating multiple environments and adding/removing packages, you may have noticed that it's starting to take up a lot of disk space (sometimes tens of GBs). One reason is that anaconda environments are completely isolated workspaces from each other with their own copy of Python. So, the more environments you have, the larger the space needed by anaconda. But the other reason is that anaconda keeps a cache of the package files, tarballs etc. of the packages you've installed. This is great when you need to reinstall the same packages. But, over time, the space can add up. So, how do we clean up this cache and regain some disk space? For the last 3 weeks, I've been trying to build TensorFlow from source. I wanted to get TensorFlow GPU version working on Windows with CUDA 9.2 and cuDNN 7.1. Since the pre-built wheels only work with CUDA 9.0, the only way we can get it working with 9.2 is to build it ourselves from source. Unfortunately, as I found out after multiple attempts, the build process is not as simple as it sounds. Every attempt I have made to build it failed so far. But, I decided to post the steps I took - which didn't work - so that you all may be able use it as a reference if you decided to try it out yourselves. Again, note that these steps did not work. Get the Deep Learning Quick Start Guide completely FREE, by subscribing to the newsletter. 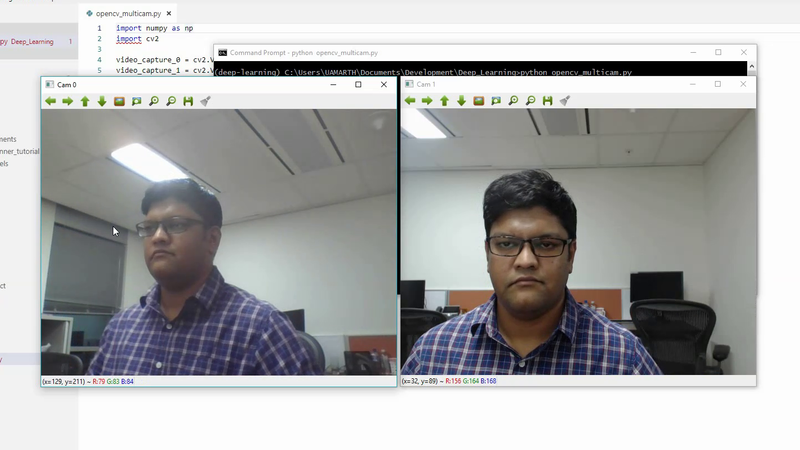 Need More Fonts on OpenCV?